I came across this scene while out walking in December 2017. 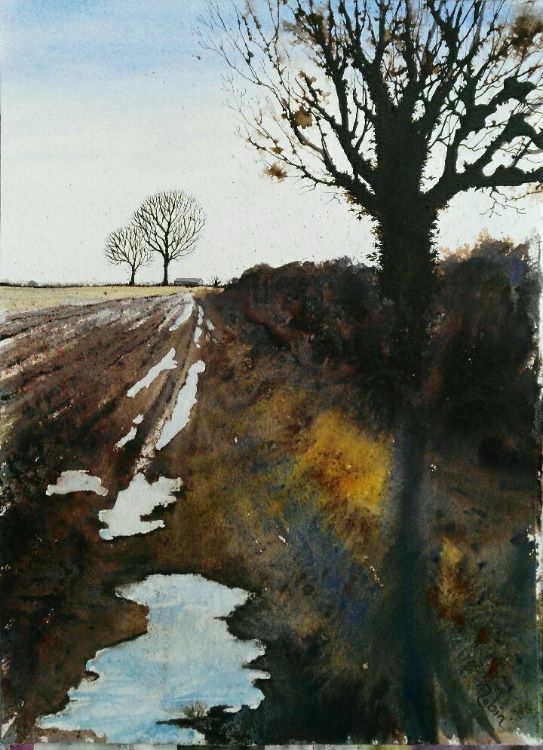 I was really taken with the strong contrasts - the shadows cast by the foreground tree, and the puddles reflecting the winter sky. I used watercolour, acrylic inks, brusho, and pen to create this image which is on saunders Waterford paper, and is 11" x 15". I like capturing views like this of the Lincolnshire landscape.